This post has been a long time coming. India created history by winning a series against Australia for the first time since independence. The Test between South Africa and Pakistan which was the last Test series that started in 2018 is in the final stage. The reason for being late is I wanted to ensure that the 2018 analysis is right even though the end of the season for this index ends in March. 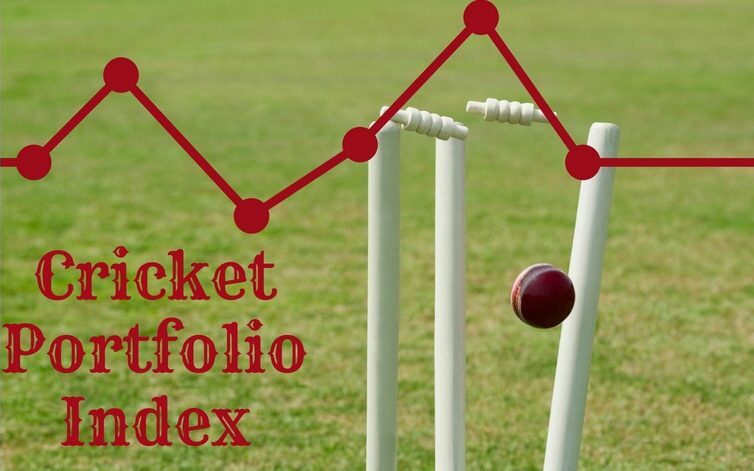 Deciding when to start the Cricket Portfolio Index was as important as the factors I used in creating the index. The reason for this is the start of various seasons. It would determine how the teams start and consequently which players start well and form the Test XI. Four players have played 18 innings. The most by South Africa is 6. I still do not regret starting when I did. My index would forever be tainted by Sandpapergate if I had to start earlier. Even today the issue is still being talked off. Every action taken by Smith, Warner and Bancroft will be scrutinised. It may be too early to say but I do believe that Warner will be exiled to the wastelands of international cricket and left to play in the various premier leagues around the world. Smith will eventually return to captaining Australia. Bancroft is a strange case. He seems to almost relish in any opportunity to throw Warner under the bus. This goodie image portrayed by the likes of Paine and company somehow does not suit the Aussies. Forget about the batting and bowling disasters. There is a serious problem in Australia Cricket when the best sledges on the field comes from a novice Rishab Pant. There will be people who are going to disagree with me but for me, there are two iconic Test matches in a calendar year. The first is the first test match at Lords and the second is the Boxing Day Test in Australia. I decided to start my index with the English season. In 2018 it began with the Test in Ireland. It was exciting to see my index go live. It was also disappointing that I have had to remove the performance of Ireland due to lack of games from the ranking because it would distort the results. That would change because Ireland and Afghanistan will be playing games. In hindsight, I could not have launched my index at a better time. It will be one-year old by the time the time the World Test Championship kicks off with the Ashes. I will possibly include my own amended index which would exclude the results of 2018-2019 and games that do not count towards the championship. This would be to see whether the Test championship is accurate. The rankings have undergone a major change. India is the number one ranked team now. Sri Lanka fell tantalisingly short of getting into first place. This may seem strange considering that India and England have won more matches than Sri Lanka. The consistency in the selection of players by Sri Lanka is the main reason why Sri Lanka is on the top rather than languishing somewhere in the bottom. This index reflects how strong the last team the country fielded rather results of the last squad rather than the historical performance of the teams. The next three months will see four series excluding the one-off Test between Afghanistan and Ireland. It seems fitting that the last Test match of the season is with Ireland. Pujara has surged through the rankings with some powerful performances. One must question the rationale of India not playing him from the first Test with England. The Test XI can be found here.